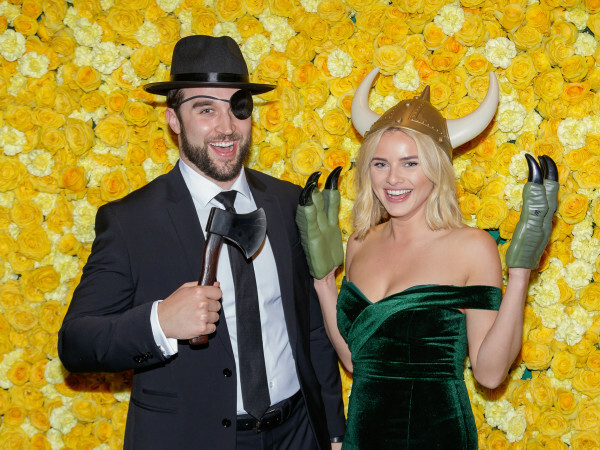 More than 1,000 charitable partygoers dined and danced under the stars at the 19th annual Treasure Street, raising more than $1 million for patient care at Texas Scottish Rite Hospital for Children (TSRHC). Event chairs Rick and Lori Ashmore Peters, along with honorary chairs (and Lori’s parents) Janie and Judge Joe Ashmore, welcomed guests to the hospital grounds, where Kent Rathbun had set up shop. The Dallas chef, who always is willing to lend a hand for charity, served farm-to-picnic-table delights such as Cuban-style pit-roasted whole pig, Grandma Minnie’s fried chicken, andouille sausage kebobs and more. Once guests — including Bob Walker, Dr. Dan Sucato, J.C. Montgomery Jr., Dee and Dodge Carter, and Betsy and Richard Eiseman — satisfied their appetites, it was time to bid on auction items like two custom all-terrain hunting buggies and a painting by Christopher Martin and TSRHC patients. Kudos to all bidders, as this live auction, conducted by Todd Whitthorne, is always the quickest and most exciting way to raise funds for the kiddos. When the sun finally set, the Emerald City Band was tasked with bringing the party home, and everyone fled to the stage to get a spot to sway to the music. Since its inception in 1996, Treasure Street has raised $9 million for Texas Scottish Rite Hospital for Children, one of the nation’s leading pediatric centers for the treatment of orthopaedic conditions, certain related neurological disorders and learning disorders such as dyslexia. Patients receive treatment regardless of the family’s ability to pay.